Shares of DBS surged after Southeast Asia’s largest bank reported first-quarter results that beat forecasts. The stock was up 3.0 percent at S$30.90, at 1:33 P.M. SGT after earlier touching a fresh record high of S$30.97. With little buying interest seen above S$30.90, according to data from DZHI, the share may not retest that record high on Monday. 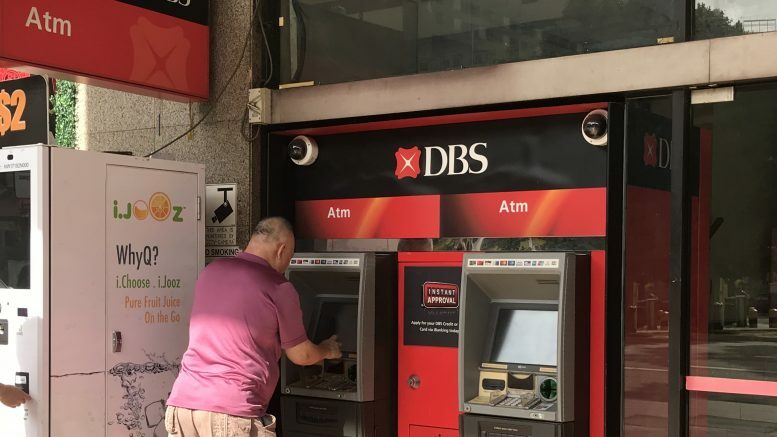 The results likely also pushed up shares of DBS’ Singapore peers, with UOB up 2.79 percent at S$30.26 at 1:32 P.M. SGT and OCBC tacking on 1.61 percent at S$13.87. The bank reported first quarter net profit surged 26 percent to a record S$1.52 billion. Its net interest income rose 16 percent on-year to S$2.13 billion on higher loan volumes and its net interest margin increased by 9 basis points to 1.83 percent on higher interest rates, the bank said in a filing to SGX before the market open. Those results handily beat forecasts across all three metrics. Nomura had forecast net profit of S$1.43 billion, net interest income of S$2.083 billion and a net interest margin of 1.80 percent. Daiwa had forecast net profit of S$1.372 billion, net interest income of S$2.118 billion and a net interest margin of 1.81 percent. CGS-CIMB had forecast net profit of S$1.443 billion, net interest income of S$2.20 billion and net interest margin of around 1.8 percent. There are already inklings that analysts could be set to raise forecasts for DBS. “With a potential fourth Fed rate hike, we might need to revise up our NIM forecast from the current 1.83 percent for 2018,” Nomura said in a note on Monday after the results. “Overall, this set of results was above our expectation, largely attributable to the significant decline in credit cost. Reported return on equity (ROE) was at 13.1 percent, and we think that it is on-track for DBS management’s 13.0 percent ‘easy’ target for this year,” Nomura added, keeping a Buy call and S$32.10 target price. In the DBS media briefing, CEO Piyush Gupta said that the bank expected NIM of 1.85 percent for the full year, but there was a potential upside by a couple basis points. He was positive on the outlook, saying digital initiatives were tracking above expectations and that the global economic growth outlook remained robust.